Peace Officers Honor Guard stand watch over memorial service. Peace Officers Memorial Day for the year 2018 is celebrated/ observed on Tuesday, May 15th. Tuesday, May 15th is the 134 day of the 2018 calendar year with -11 months, -7 days until Peace Officers Memorial Day 2018. 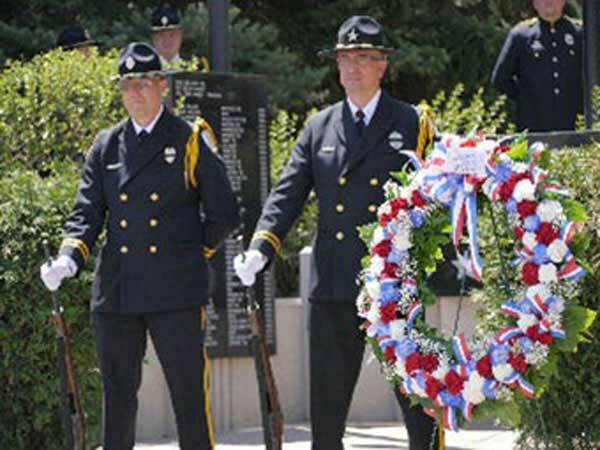 When is Peace Officers Memorial Day 2019? When is Peace Officers Memorial Day 2020? When is Peace Officers Memorial Day 2021? When is Peace Officers Memorial Day 2022?